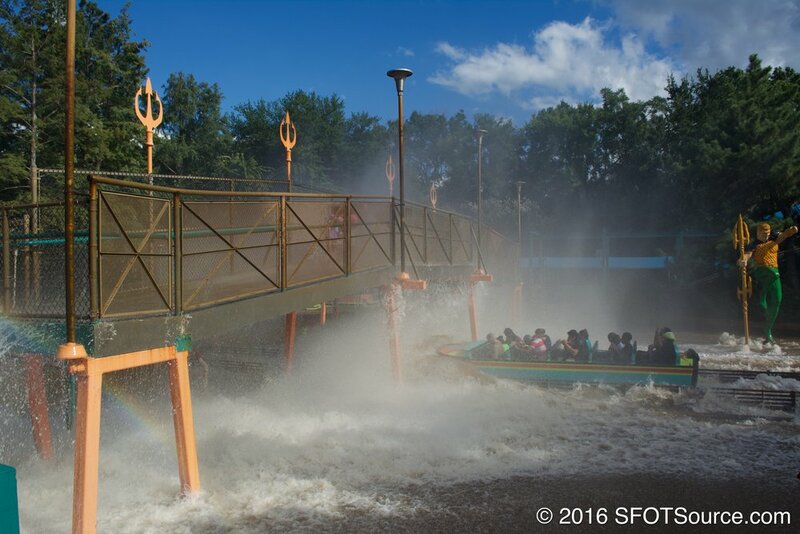 Aquaman Splashdown has gone through multiple "theme" changes while being at Six Flags Over Texas. 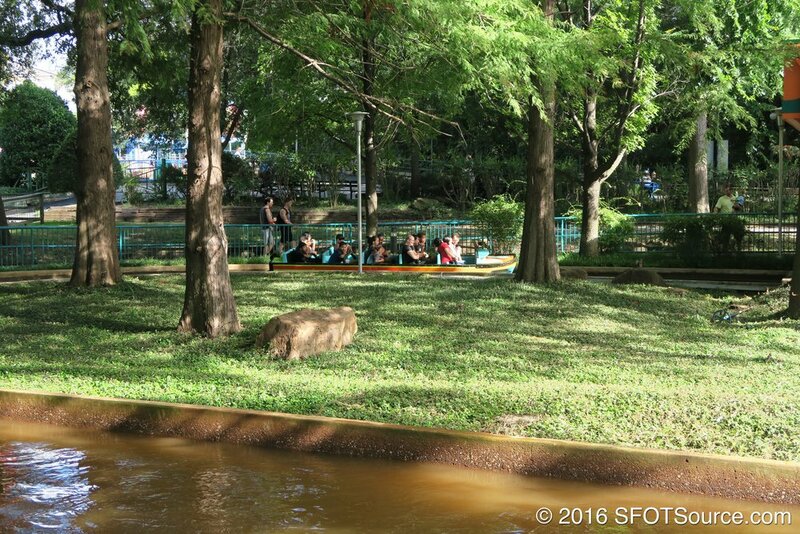 The attraction originally started as Splashwater Falls. In 1995, with the addition of Adventure Theatre and The Right Stuff, the whole area was rethemed into a space/flight setting and Splashwater Falls was renamed Splashdown Re-Entry Test Simulation. In 2000, Splashdown Re-Entry Test Simulation took on another name change and was renamed Splash Water. The ride didn't exactly carry a theme during this period of time. In 2007, however, the ride was turned into Aquaman Splashdown and the station and boats received a themed paint job. 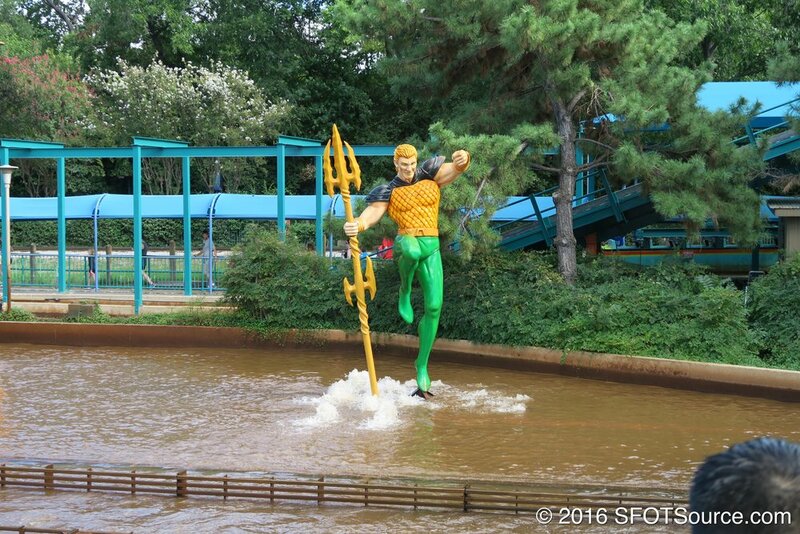 A huge Aquaman statue was also added to the attraction. 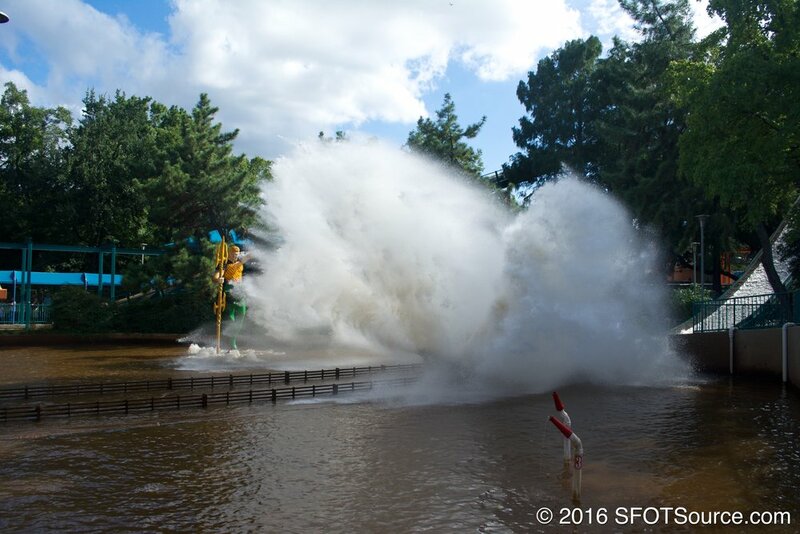 Splashwater Falls is renamed Splashdown Re-Entry Test Simulation. Splashdown Re-Entry Test Simulation is renamed Splash Water. Splash Water receives a paint job. Splash Water is rethemed and renamed Aquaman Splashdown.